The cleverest give-away I came across this year came from Microchip, a big provider of microcontrollers. The discussion I had with one of their representatives was rather revealing of the nature of what they sell – he showed me a catalogue with a list of chips featuring between sixteen and forty-eight… things. Which kinds of things? Ordinarily I would expect it to be cores, gigabytes of memory, megabytes of cache, or the throughput of accelerators in gigabits per second. Here, it was pins. For all the attention and activity at the high-end of the processor market, there is still room for simple super-tiny microcontrollers to do the simple things that do not require massive performance. With some clever peripherals you can do a lot in a sixteen-pin package. 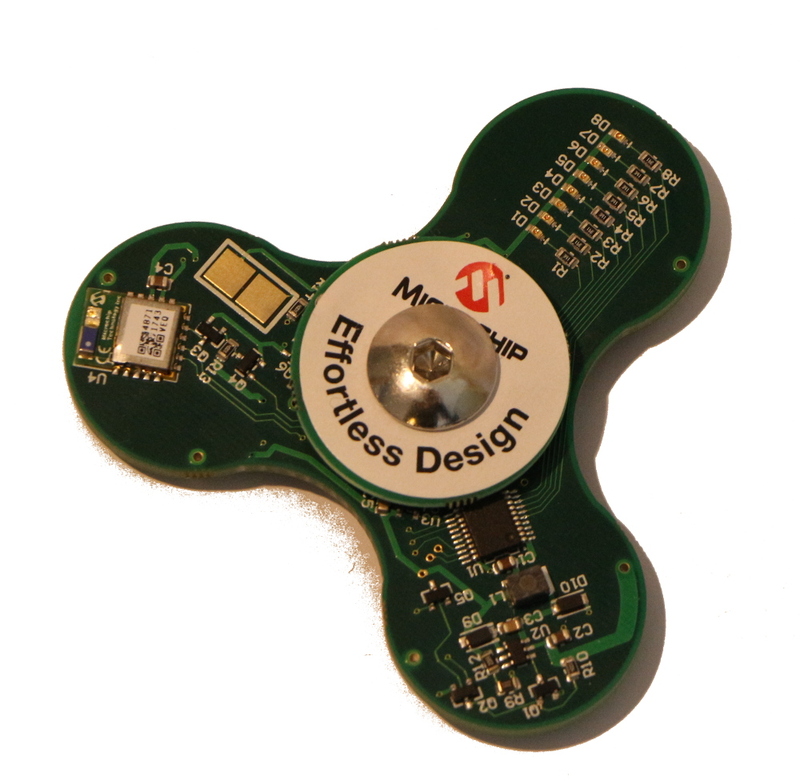 The spinner has a website, with information on how it is built, how to operate it, and how to use Bluetooth to reprogram the text shown. I never got the latter part to work, unfortunately. 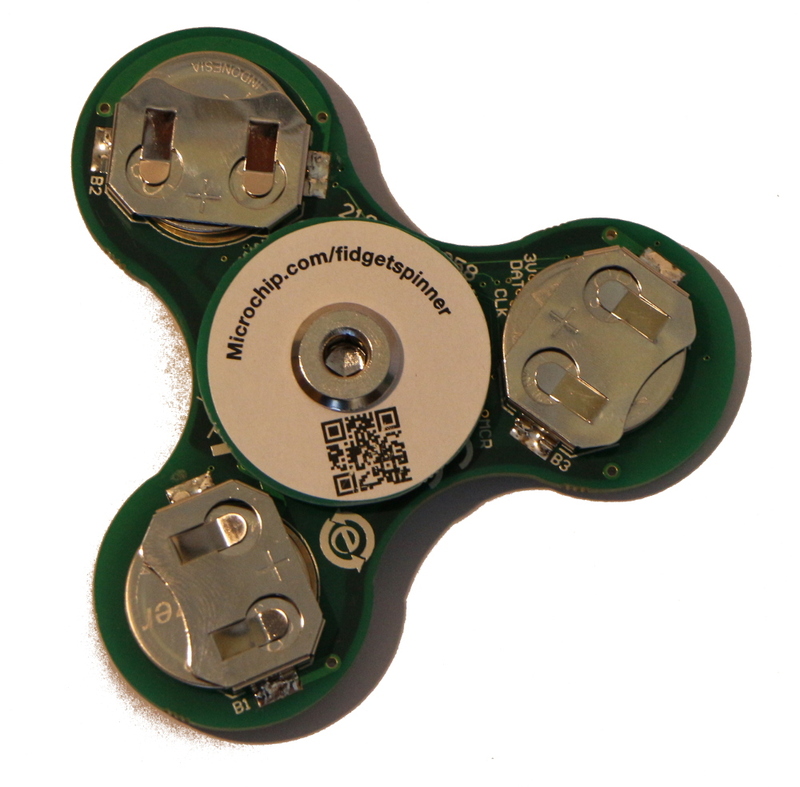 According to the site, the chip powering the spinner is a PIC16, an absolute embedded classic. I recall back when I started out in embedded back in 1997, and even then the PICs had a reputation of being rather primitive in architecture, but very capable for their cost and size and power. The PIC is still going strong, apparently, showing that sometimes good enough is good enough. Overall, I found this to be a clever showcase of Microchip technology, and I really like that they are giving away something that contains their own product!